Surface Guard at Fourth Street Live! Fourth Street Live! is Louisville, Kentucky’s premier dining and entertainment destination, located in the heart of downtown Louisville. Fourth Street Live! hosts several outdoor concerts throughout the year and were looking to protect concert attendees from potential vehicle threats. These events require a city street to be transformed into an entertainment district accessible only to pedestrians. Fourth Street Live! needed a temporary vehicle barrier to deploy during large concert events. They wanted something that was quick and easy to deploy. They also wanted a solution that would not impede pedestrian traﬃc. 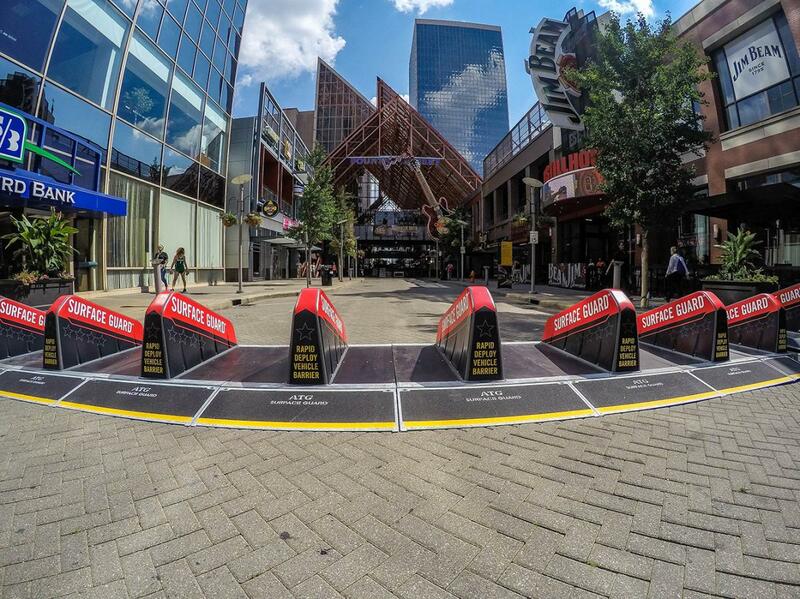 “Human safety is the most important aspect of safety and security for us at Fourth Street Live! We want to make guests feel safe when they come down to attend concerts, as well as other large events,” said Rick Jaso II, CFM Director of Facilities at Fourth Street Live! The Surface Guard barrier was an ideal solution. Surface Guard barriers can be quickly deployed and have been crash tested to stop a 5,500 lb vehicle travelling at 30 MPH and a 15,000 lb vehicle travelling at 20 MPH. Fourth Street Live! 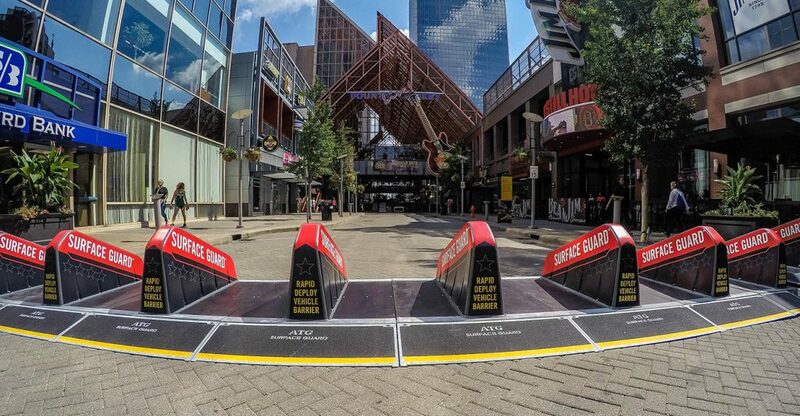 recently deployed the Surface Guard barriers at a concert with approximately 7,000 attendees, and they were extremely happy with the performance of the Surface Guard. “Surface Guard allows us to deploy when needed and store when we don’t. We like the fact that within an hour and a half we can provide peace of mind for individuals that attend events here at Fourth Street Live!,” said Jaso. One additional and unintended beneﬁt of Surface Guard is it extended the security zone for the entire concert. Speciﬁcally, Surface Guard prevented ride share vehicles from picking up people leaving the concert which greatly increased traﬃc ﬂow in the area. Copyright © 2019 Ameristar Fence Blog. Proudly powered by WordPress. BoldR design by Iceable Themes.